The International Mission Board–the missions agency we support–is losing it’s president at the end of this year. Yet, even in retirement, Jerry Rankin is not willing to go quietly. Below is his call to us and our sister churches to wake up and see the great reality that lays before us. How we will respond in the coming days, weeks, years, lifetime? Certainly there are needs in our own country. There is no question spiritual renewal is the key to more effectively reaching the lost. But a Great Commission Resurgence is about the relative proportion of resources we devote to reaching a lost world. Not only does America represent less than 5 percent of the world’s population, it is where 45,000 Southern Baptist churches are located, hopefully sharing the gospel in their communities. That same 5 percent of the world’s population is where 1,200 Southern Baptist associations are working with churches to reach their towns and cities. It is the same 5 percent of the world’s population where 42 state conventions are working. It is the same small proportion of the world’s lost among whom the North American Mission Board is directing its strategies and resources. America is where Southern Baptists are already investing almost $12 billion while making available only $300 million to reach the other 95 percent where there are few resources. We have over 100,000 pastors, church staff and denominational workers here in America among 5 percent of the world’s population and say we are doing enough to send 5,000 missionaries to reach the rest of the world. Oh yes, and there are a few more churches other than Southern Baptists who are seeking to reach this 5 percent in America, as well. But the most outrageous thing being advocated by many, is that we need to give even higher priority to reaching people where we live and channel even more resources into the needs here rather than doing what is needed to reach the world with the gospel. If what we are doing was working and effectively evangelizing America, that suggestion might have some merit, but why put more resources into something that is not really working very well? God loves the whole world; so should we. Jesus died for the whole world, not just for our nation or our kind of people. As the body of Christ in the world today, He has left to us the responsibility of carrying on His work and fulfilling His mission. 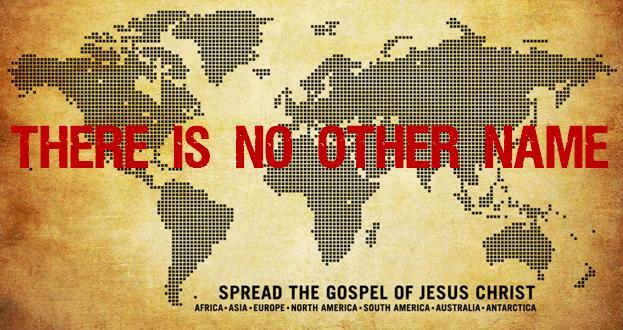 If we don’t reach the nations, who will? We are His people. We are the ones who have the Word of Life. We have been blessed to receive the hope of salvation. When will we get serious about sharing it with the rest of the world? If not now, when? The Empty Tomb is a research organization in Chicago that tracks the stewardship and giving patterns of churches and denominations. In their last report they noted that the International Mission Board had set a goal at the turn of the century of engaging all remaining unreached people groups. This goal would require 8,000 missionaries and was an essential step in fulfilling the Great Commission. The Empty Tomb report observed that Southern Baptist church members gave enough financially to make this goal feasible. However, the SBC had demonstrated by how they were utilizing resources allocated to the denomination that the goal of the denomination was not to fulfill the goal! We take pride is supporting 5,000 international missionaries, but that is only .03 percent of Southern Baptists. It is not even one out of every three thousand church members, yet it strains our resources to support that number. If we were really serious about reaching the world and recognized God had blessed us as a denomination to fulfill His mission, would it not be unreasonable that 1 percent our church members would be called to go as missionaries? That would be not 5,000 but 160,000! What potential would that have for eradicating lostness and taking the gospel to all peoples! Could not the remaining 99 percent of our church members support the 1 percent who go as missionaries? What is the problem? It is a matter of disproportionate use of resources. We have determined we will do other things with our money than reach a lost world—comfortable spacious buildings and programs that serve the redeemed. We choose to keep most of the money at home while providing a token of resources to reach the rest of the world. Years ago while serving as Area Director for South and Southeast Asia, I had the responsibility of dispersing the budget for more than 500 missionaries in the 15 countries of that region. We monitored receipts to CP and LMCO knowing it would affect the resources we had available. Even though there were usually increases in these income streams, it was never enough to meet our budget needs. I was the one who had to determine which programs would be cut back, which new initiatives would be deferred, etc.